In 2012 the American College of Sports Medicine published an article written by Wayne Westcott, PhD. titled Resistance Training is Medicine: Effects of Strength Training on Health. 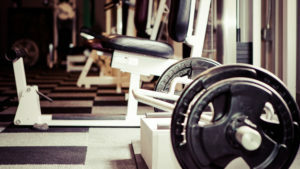 The article highlights many benefits of strength training if performed properly. The main focus of the article is the importance of using resistance training to improve and maintain muscle mass to give all of the other benefits listed. The health benefits that Westcott mentioned in his article are: improved lean body mass, decreased fat mass, improved movement control, walking speed, functional independence, cognitive ability, self-esteem, prevention and management of type 2 diabetes, increased cardiovascular health, decreased resting blood pressure, improved cholesterol, improved bone density, reducing low back pain and easing discomfort from arthritis and fibromyalgia. This long list of benefits can be overwhelming to most individuals, but it is important to find the one or two reasons that motivate YOU to resistance train and remind yourself of that WHY each session! The best part of resistance training is that even if you are only looking to improve only one or two of these health markers, they can all improve with just one or two resistance training sessions per week. To learn how you can start to benefit from these improved health markers contact us to schedule your FREE introductory session!